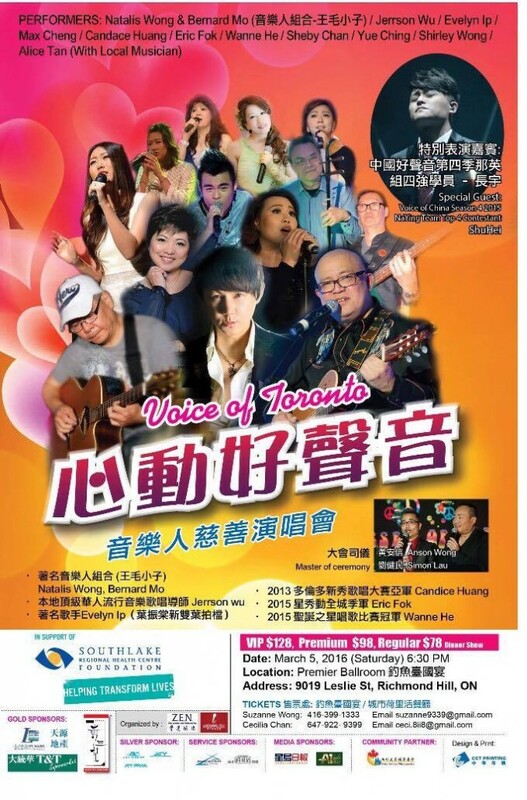 Our talented Natalis Wong (’73) will be performing with other local musicians, well known DJs Anson Wong and Simon Lau, as well as special guest Shuhei Nagasawa (of Voice of China fame), at the Voice of Toronto dinner show on March 5 at Premier Ballroom (釣魚臺國宴, on Leslie St. north of Highway 7). Don’t miss this opportunity to meet all the stars, enjoy great music and good food, and have fun! Check the poster for ticket information.